As polls close for much of the United States, the lid is being peeled back on who will control the House and the Senate come Wednesday morning. Canadians sitting at home watching the fluctuation of blue and red on their screens might be starting to wonder -- what does this mean for me? We’ve compiled a list of three major midterm-related issues that could impact Canadians. After a laborious re-negotiation of the NAFTA deal, the new USMCA is awaiting a vote in the House. However, with the House having turned blue Tuesday night, concerns are floating around about whether the Democrats intend to play nice and effectively hand U.S. President Donald Trump a “win” on this deal. If the Democrats put the brakes on USMCA, the existing NAFTA deal would remain in effect. The Section 232 tariffs on steel and aluminum would also stay in place, however, as the House has no say on that. There’s also a lot that will be revealed when the House reconstitutes its powerful committees. This is especially important when it comes to the Ways and Means Committee, which has jurisdiction over the government’s purse and trade. The membership of that committee could have a huge impact on trade deals -- and we won’t know the names of new members right away. Over in Washington State, voters decided against adopting a carbon fee. While Washington was close to having one of the most rigorous climate policies in the United States, the voters in the state shot that down tonight. The United States is one of the world’s largest emitters, so – if the carbon tax proves effective at its goal of reducing greenhouse gases – a normalization of carbon pricing could have been a huge boon to the fight against climate change. However, since the state voted against a price on carbon, the result might now be used as evidence of environmental issues falling low on the list of voter priorities – especially as Trump continues rolling back environmental protections. About a quarter of goods traded between Canada and the U.S. pass through the Detroit-Windsor corridor. Outgoing Michigan Governor Rick Snyder used his executive authority to push through the construction of the second bridge, dubbed the Gordie Howe International Bridge. 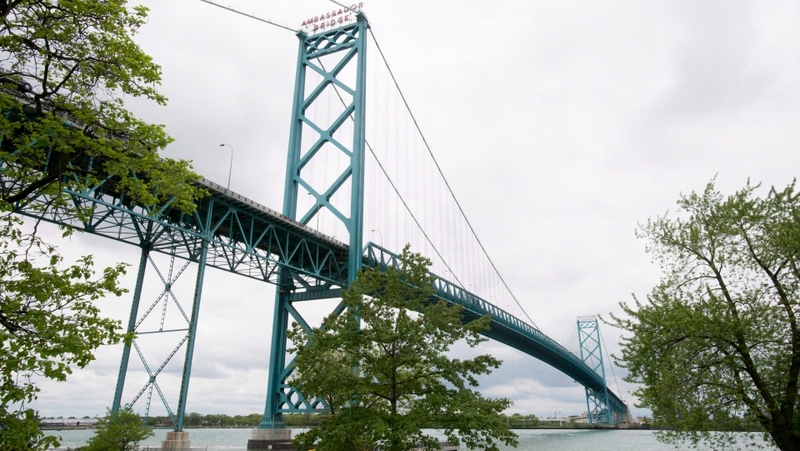 But the powerful Moroun family, who own the Ambassador bridge – currently the only bridge available to transport the hordes of goods between our two countries – has fought the new bridge at every turn. Democrat candidate Gretchen Whitmer has pledged her support for the Gordie Howe bridge. Now that she has defeated the Republican candidate Bill Schuette, she has also secured the future of the bridge against the Moroun family’s suggestion to twin their existing bridge – a suggestion Schuette was open to considering.